As claimed by the brand Xiaomi became India’s top smartphone company in 2017. The China-based electronics company has been in the smartphone market for quite some time now and has delivered affordable, durable and top in class smartphones and devices. The brand manufactures smartphones and tablets. 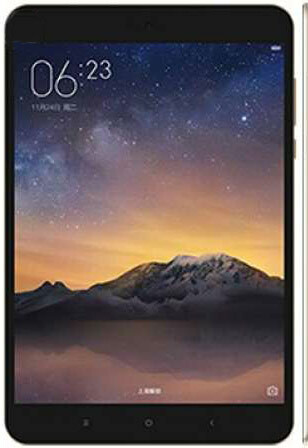 Xiaomi released the Xiaomi Mi Pad 2 64GB in the Mi Pad range quite recently. Why should you buy Xiaomi Mi Pad 2? The Mi Pad is an affordable device with a strong configuration, impeccable internal storage, wide display and a good battery backup. The device has a brilliant design and is made for the users who are looking for a tablet without the calling function. Also, the device has some added features in it and that too at a very low price, making it a value for money device. The Mi Pad 2 64GB version comes with a 7.9-inch display with a screen resolution of 1536 x 2048 pixels at a pixel density of 324 ppi. This tablet has a sharp IPS LCD display and has a smooth and sleek metal finish to it. The device is available in Gold and silver variants. The device comes with a powerful 2.2GHz Quad-core Intel Atom Z8500 processor coupled with a 2GB RAM. Booting on Android 5.1 Lollipop the device claims to give a flawless multitasking and gaming experience. Offer a massive 6190 mAh Li-ion non-removable battery, Xiaomi claims that it supports quick charging. Further, it is said to have a long battery life. The device houses a 64GB storage to store all your important files and documents. It can be further enhanced up to 128GB via a MicroSD card. The device is a delight in terms of the cameras. The Mi Pad 2 64GB is equipped with an 8MP primary shooter and can perform HD recording at 30fps. For selfies and video calling purposes the device comes with a secondary 5MP snapper. As far as the connectivity features are concerned the device supports Wi-Fi, Bluetooth, Hotspot, and USB Type-C connectivity options. The tablet comes with colour enhancement option accompanied by an eye pattern and colour temperature adjustment, to enhance the viewing experience. The Xiaomi Mi Pad 2 64GB price starts at an attractive tag of INR 13,990 in India. Xiaomi Mi Pad 2 64GB full specs and reviews as of Apr 2019. Buy it here!